Grumbling Grace: Strolling in Style - Valco Baby's Back in Canada! "Sooo... what kind of stroller do you have?" This (as we all know) is a pick-up line for moms. 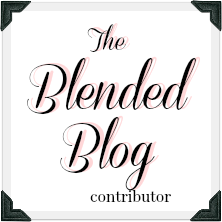 I remember being pregnant with my firstborn and researching stroller reviews until my eyes were buggy. I could be on "The Price is Right - Stroller Edition." I used to check out women's shoes, but now I'm just nodding appreciatively at their kids wheeling by like, "Mad respect, sister. That's a limited edition lightweight titanium pivoting chair." Seriously. My sister made fun of me because I bought (and sold) four strollers in the first four months of motherhood. She can make fun of me all she wants because I ended up a winner, my Valco Baby Snap. Awww. 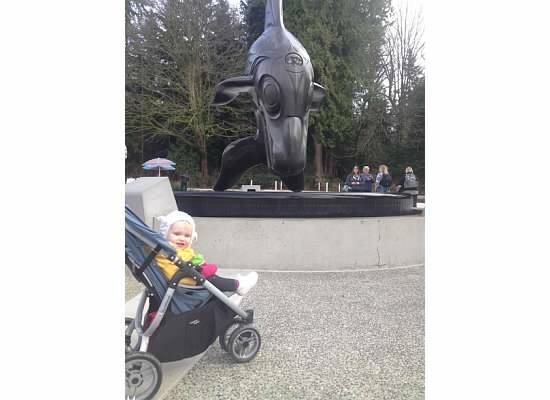 A blurry baby Emily in Vancouver, BC. I am not exaggerating when I say I am going to use this little beauty till it bites the dust. 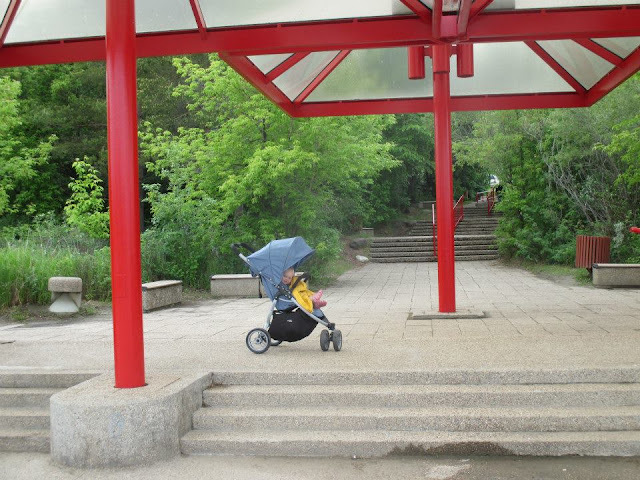 I love it because it is super lightweight, folds up in one motion, handles well and is an actual fully-equipped comfortable stroller. We do a lot of traveling and we've (weirdly) received so many compliments from airline personnel on how well our Snap folds and unfolds that Nathan started noticing (I got my hair cut three months ago also, honey. FYI). 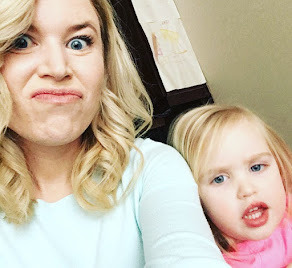 Last year when I was (as my husband so lovingly put it) dramatically pregnant with Gabrielle, I went to purchase a car seat adapter for my sweet ride and I was crushed to find NO VALCO IN CANADA. Sob. So imagine my joy when I found out they are back and will be carried at select retailers throughout our nation starting in April! I'm not saying I'm *personally* responsible for bringing this incredible company back to the true north strong and free... I'm just saying I truly believe that my despondent email was the straw that broke the camel's back--- or twisted the stroller company's arm --- or whatever. Anyway. YOU'RE WELCOME. Back on topic. What’s new for Canada in 2016? 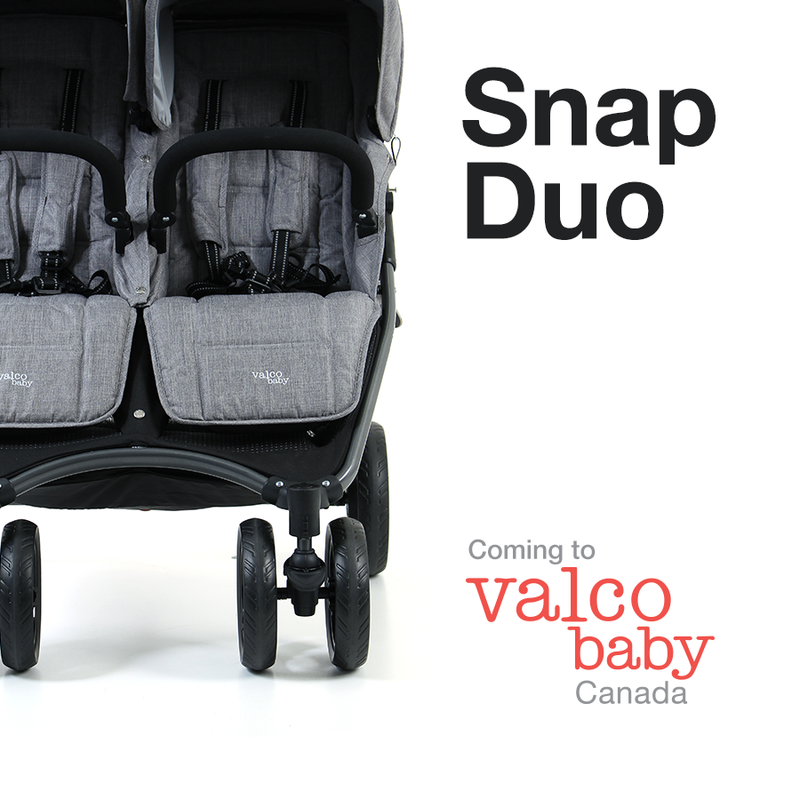 Valco Baby has upped their game even further with a luxury “Tailormade” fabric series (fancy) and the strollers soon to be cruising Canadian sidewalks, mountains and prairies are the Snap 4, Snap Duo and Snap Ultra Strollers. Before you go stalk Valco Baby Canada so that you can recite stroller specs with me next time we face off in the grocery aisle, let me tell you about my dream ride. This is the stroller that makes my mom fantasies come true. Ready? This is the stuff of dreams Snap Duo Tailormade. It's super lightweight (9.8kg) which is perfect because my kids are kind of chunky and I'm lazy, but it's also a full-on comfy stroller. It has awesome under-storage, adjustable footrests and individual canopies (toddler sharing meltdown averted). Plus, it's still got the one-handed easy fold and carry strap I love on my current Snap. Dear Santa, do you need my mailing address? Hey, my 'bring Valco Baby back to Canada' wish came true and you know what they say, "If you wish upon a Northern star"... or something like that. Check out all the details and news of which retailers are carrying these innovative strollers by following Valco Baby Canada on Facebook, Instagram and Twitter.